If there is something a manager has to deal with on a daily basis it's paperwork; from performance evaluations to government-mandated reporting, to interview formalities and new hire documentation, most managers are submerged in a sea of papers, forms, and reports. While it's true that manual paperwork has been the backbone of most managerial tasks, nowadays everything is going digital, and most businesses and companies don’t have the time or the space to put up with paper-based management systems. Modern managers want to access all types of reports instantly, and they want to be able to access them on their mobile devices, such as mobile phones and tablets. Modern employees, too, are accustomed to touchscreens where they can swipe right and left, not pencils and pens or other antiquated methods. A mobile scheduling app allows managers to digitize paperwork in their organizations; it also allows for the creating or editing of work schedules remotely. Employees can also access their schedules and submit their requests and preferences remotely. A mobile scheduling app, like Zip Schedules, can also improve efficiencies at all levels and get managers the accolades they deserve. Other than elimination or cutback of paperwork, other benefits of implementing a mobile scheduling app, or employee scheduling software, include the following listed below. 1. Gathering time off requests, which is one of the most important steps towards creating workable employee schedules, becomes as simple as having them submitted directly to the mobile scheduling app where they get stored. 2. The process of creating a new schedule with a mobile scheduling app involves dragging and dropping employees into open shifts, no more manual typing or writing like with an excel work schedule template or Microsoft employee schedule template. 3. Posting a new or updated schedule is simplified with a mobile scheduling app. All new schedules and shift changes are sent directly to employees, via their desktops and mobile devices. 4. Updating employee information becomes the obligation of employees, which they can easily do from the comfort of their homes when using a mobile scheduling app. 5. The responsibility of finding replacements now falls directly on the employee trying to give up their shift. A mobile scheduling app reduces confusion surrounding poor communication. These benefits are a few ways businesses are benefiting from using a mobile scheduling app. Generally, a scheduling app should be easy to use, distribute schedules effectively, and be accessible to all parties involved. When an edit or change is made, the entire staff must be able to view it instantly. 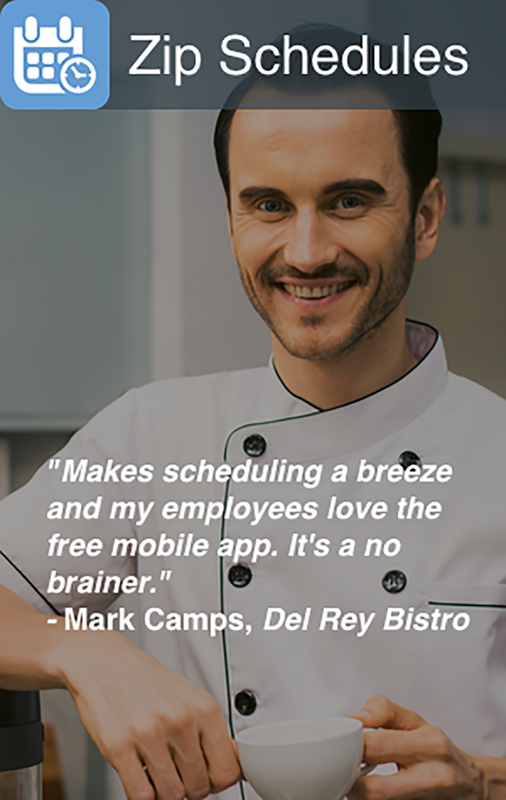 An effective mobile scheduling app should be able to accommodate all types of shifts. Some businesses maintain consistent shifts, while others prefer to keep staggered shifts. The best scheduling app for your business should be able to also adapt to scheduling changes and other changing needs. So, how do you go about choosing the best mobile scheduling app for your business? Different types of industries and businesses have different needs, especially when it comes to scheduling. When choosing a mobile scheduling app, your industry-specific needs should guide you. If you are a union-based operation, you will need an app that will support rule-based scheduling. If your business embraces mobile or remote workers, a mobile scheduling app that accommodates such workers would be of great help. Here are some important aspects you need to think about when looking for the most effective mobile scheduling app for your business. 1. What are your needs, or rather, what are the scheduling needs of your business? Once you are sure about your scheduling needs, list them down on paper. 2. Next, start shopping by combing the web for a program with your listed needs or features. It is easy to find numerous vendors that provide all the features you are looking for once you get started. 3. After you have identified a few programs you believe would be right for your business, you should then look at pricing. Evaluating prices might take extra time, but it is important to find at least 3 products that agree with your budget. 4. Most vendors, including Hubworks, offer free trial versions of scheduling software that are meant to get you accustomed to their efficiency. Take advantage of 3 products or more and have different employees in the business test them out to help you identify the one that needs your scheduling needs best. While it is true that this process will take some time too, it can save you future headaches that can arise as a result of overlooking a few factors that might appear trivial at first. 5. During the free trial periods, make sure the mobile scheduling app you are testing out can integrate with existing systems, such as payroll and other managerial systems. How a scheduling system “talks” to related systems is essential to making sure you will be getting the best value out of your money. For instance, if it entails the manual input of payroll information, it probably shouldn’t be the best choice as it won’t be saving much time anyway. High-quality scheduling systems should be flexible enough to allow the importation and exportation of data from existing systems thus saving you or your scheduling team lots of time and effort. 6. Another factor to test during free trial periods is how willing the vendors are to offer help and support whenever you and your team members require assistance. If the software provider does offer support, don’t assume the support service is included in the price; ask if there are additional costs for support. Make sure to take all these points into consideration when you start looking for the best mobile scheduling app that suits your scheduling needs and business. If after choosing a provider you are still not 100% sure of how well the product will meet your scheduling needs, avoid getting trapped in a long-term contract, and instead choose a month-to-month if you can help it. Here at Hubworks, we do offer a free trial for our Zip Schedules scheduling software, and we offer other free trials with many of our products as well. 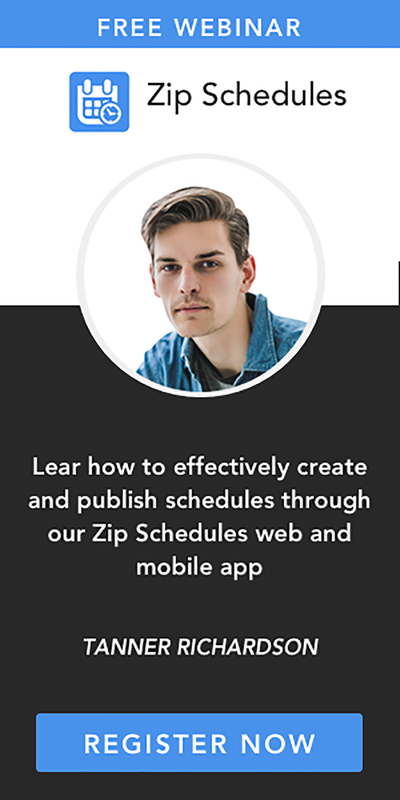 If our free trial isn’t an inviting enough reason to try our Zip Schedules mobile scheduling app and software, then check out our “Work Schedule Apps | A Complete Guide” article which is also on the Hubworks Blog.